A dazzling collection of award-winning stories with the emotional punch, sharp wit, and disarming charm of Rebecca Lee, Karen Russell, Neil Smith, and Jessica Grant. Ladies and gentlemen! Boys and girls! 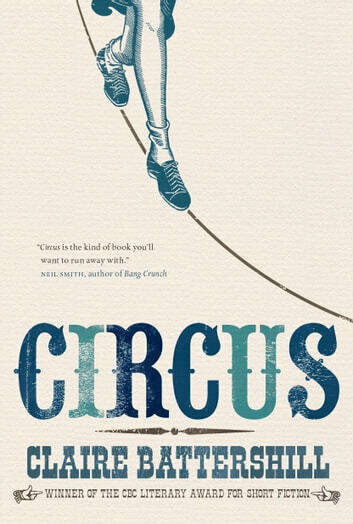 Step right up and prepare to be dazzled by this delightful debut from Claire Battershill, winner of the CBC Literary Award, co-winner of the Canadian Authors Association’s Emerging Writer Award, and finalist for the inaugural PEN International/New Voices Award. As they transport us from a crowded airport departure lounge to the stillness of the British Museum, and from the spectacle of the Winter Olympics to the modesty of a local Miniatureland, these radiant stories explore the often surprising things we’re willing to do for love and human connection. Fed up with his long history of failed blind dates, a shy English bureaucrat gives himself thirty-one days to find love on the Internet. A father buys his daughter a blue plastic tent to ready her for outdoor adventure, but neither is prepared when the tent becomes a neighbourhood sensation. The world of competitive sports provides the backdrop for a young man’s coming of age in “Two-Man Luge: A Love Story.” And in the award-winning title story, the granddaughter of a former circus performer (who played the role of a man-wrestling bear) finds herself grappling with the capriciousness of life and love. At once witty, tender-hearted, and profound, these stories are filled with a memorable and all-too-human cast of characters on the cusp of enormous change – whether they’re ready or not. 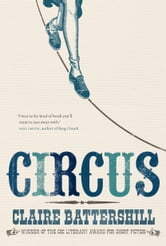 Written in spare yet startling language, Circus is a beautiful reminder that sometimes everyday life can be the greatest show on Earth. My favourite story was Two-Man Luge: A Love Story. It manages to be sweet and very Canadian, but also funny and not at all corny. This is a great little collection of stories.